Chestermere is a city in the province of Alberta in the Rocky View County and is a member of Calgary Regional Partnership municipality. Though a quiet community, Chestermere is a recreational hub and you have many options to unwind. As per the census of 2016, the population of Chestermere was 19715 and a 34% increase over the previous census of 2011. Some of the attractions here include Chestermere Lake, Water Festival, Country Fair, Country Connections, Winter Festival and Lakeside Greens Golf Course. The Chestermere Recreation Centre has an 18 hole golf course, 4 sheet curling rink, and 2 ice arenas. There are different classifications of roads in Chestermere. These include Expressway/Highway, major 4 lanes, major 2 lanes, rural road, back lane, collector road, and ramps. Chestermere is the 1st designated bee city in Western Canada. Chestermere has 9 schools, 5 hospitals along with a community health center in nearby Calgary. The above table compares the car insurance quotes by various insurance providers in Chestermere. TD Insurance had the most expensive quote at an annual price of $1902. This was $750 higher than the lowest quote and was a variation of 39.43%. Pembridge Insurance had the next highest quote at $249 less than TD. SG Canada had the lowest quote at an annual price of $1152 and Wawanesa was next at $37 higher. The Travelers Dominion Product had a close quote at $66 higher than Wawanesa. We compared car insurance quotes by insurance companies in Chestermere for various neighborhoods. Rainbow Falls had the most expensive quote at an annual cost of $1103 and this was $237 more than the cheapest quote. This was a variation of 21.48%. The area has many amenities and residences which may be the reason for the high cost of car insurance. Abbeydale neighborhood had the next expensive quote at a difference of just $8. As per the above table to compare car insurance quotes, Kinniburgh had the lowest annual price at $866.It is mostly a residential area with many parks and there is a yacht club nearby. Cheadle had a close quote at just $6 more and this is a really quiet part of the city with not much traffic. Chestermere is strategically located on the east side of Calgary which is a strong economic region. On the border, you may connect to TransCanada highway. Stoney Trail and Glenmore Trail is under 5 minutes. The Calgary international airport is just 15 minutes away and you may get to Downtown Calgary within 20 minutes. You may also reach Chestermere by road through Alberta Highway 1A. 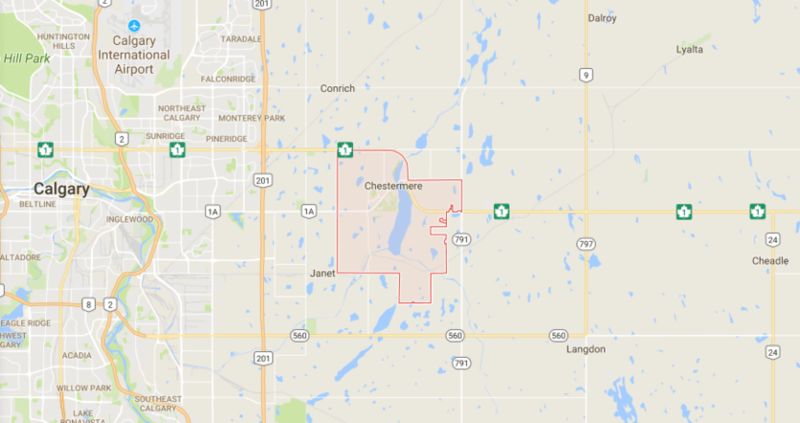 By air, you may reach Chestermere through Chestermere Airport also known as Kirby Field. A commuter bus connects Chestermere to Calgary’s downtown area. D & K shuttle services run shuttle services for traveling in and around Chestermere. The Rocky View Regional Handi Bus operates the Handi-Bus in Chestermere on weekdays. A carpooling service in Chestermere offers free services to commuters as per closest match. The city of Chestermere has a separate detachment by the RCMP that has seventeen full-time staff and 4 administrative members. RCMP also provides more staff as per need on a call to call basis. The Roads department of the city of Chestermere takes care of the maintenance of roadways during all seasons. They perform maintenance of streets, winter maintenance, gravelling, dust control, curbs, culverts, gutters, sidewalks, and asphalt. The Roads division also does street line painting, street sign maintenance, and repair of pot holes etc. The Public Works department of the city takes care of the maintenance of traffic signs and lights throughout the city. If you ever see a traffic light, streetlight or a park light is not working then you may notify the Public Works. The Alberta province owns highway 1 and takes care of that highway through their contractor. The province has granted control over the maintenance and operations of Highway 1A and is now Chestermere Boulevard. Every week, the Roads Division inspects any missing, faded or damaged road signs and do repair them on a priority basis. The residents may also report any obstructed or missing traffic signs to the Roads Division to aid public safety. In winter, the Roads Division takes care of the city roads maintenance on a priority basis as per the type of road. They plow snow off major roads within the city limits during a snowfall. And, even at midnight, they ensure to plow the snow clear off the roads so that the commute for the next morning is safe and convenient. The first priority for snow plowing is for primary road routes and then they plow the secondary roads. Specific roads are routes for snow removal and the city may ban parking on these roads on a temporary basis to aid the crew to clear the snow. In the spring and as per the weather during entire summer, the city Roads division sweeps the streets for many weeks. Just before late spring, they do a final sweeping after an initial round to remove the bulk of the debris. They post signs in those zones and then later complete the sweeping before the end of spring.